This month, Victoria Revealed, an exhibition about the life of Queen Victoria, reopened at Kensington Palace with a newly extended route and some very exciting additions. 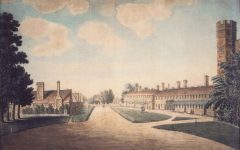 Queen Victoria was born at Kensington Palace on 24th May 1819 and lived there with her mother until she became Queen in 1837. Fortunately, for us, she was a prodigious diarist and one of the most prolific letter writers of the nineteenth century. When she was 13 years old, her mother presented her with a diary in which to record her experiences during one of her annual trips around the country. So began a habit, which she would keep until her death in 1901. Whether she was conducting state business, lamenting the behaviour of her children or worrying about her health, she consistently committed her thoughts and feelings to paper and it is from these words – her words – that Victoria Revealed tells her story. The newly extended route brings together extracts from her writings with never before displayed objects and some of the first moving images to explore the years after Prince Albert’s death in 1861. The Prince’s demise was quick and unexpected and the Queen’s grief was unshakeable. Though she continued to perform her official governmental duties, she refused to appear in public for a number of years. She shied away from ceremonial engagements and resisted pressure from her ministers and family to attend events such as the State Opening of Parliament. She was rarely in London and retreated to the privacy and seclusion of her homes in Windsor, Osborne and Balmoral, eliciting a mounting criticism from both ministers and the public. 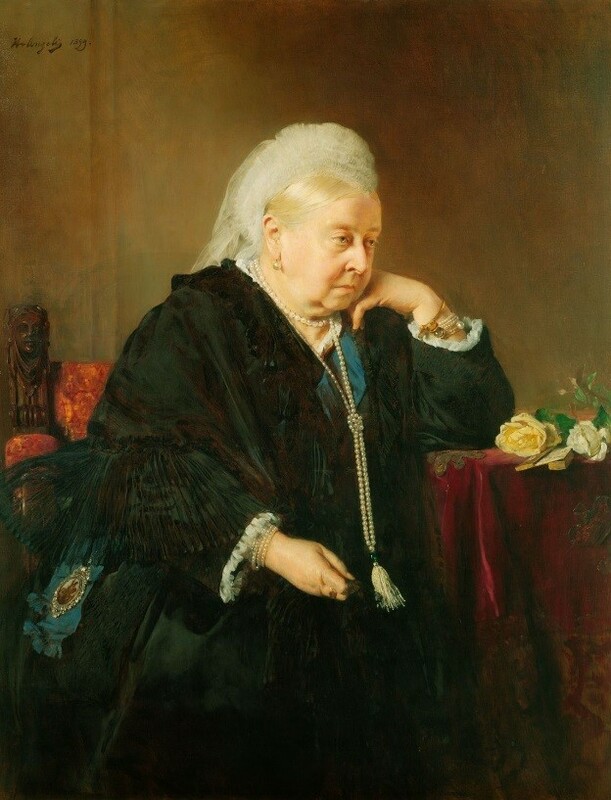 Public commentary on the monarch’s activities during this period is unsurprisingly sparse, but Victoria’s letters and diaries reveal that she was far from unoccupied. In Albert’s absence, the Queen turned to her eldest daughter Vicky, now married to the Crown Prince of Prussia, for support. With Vicky living in Germany, the two engaged in a massive correspondence, often writing to each other daily. These letters give an invaluable insight into the Queen’s feelings, activities and priorities during this period and the exhibition brings together key extracts to shed light on this little known time in her life. 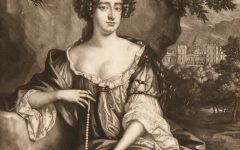 What they indicate is that one of her main priorities was the arrangement of dynastic marriages for her remaining children to members of the royal households of Europe. Before he died, Victoria and Albert had shared a vision of a peaceful Europe united by liberal values. Albert rather naively saw the creation of dynastic marriages between his children and European royalty as a means of safeguarding against war. 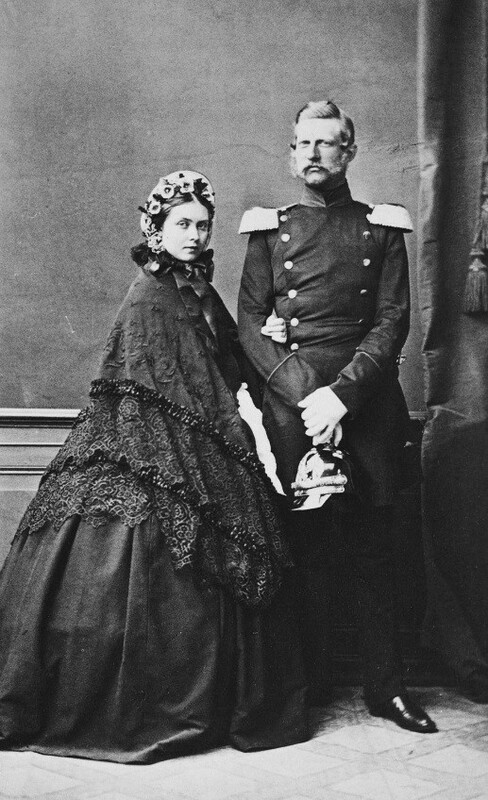 The marriage of their eldest daughter, Vicky, to a Prussian prince in 1858, although conveniently a love match, was also his first step in attempting to deliver this vision. 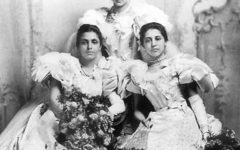 Similarly, the pair, both highly pious in their outlook, felt that an early marriage for their son and heir, Prince Albert Edward (Bertie), might put an end to his philandering ways. In her grief, delivering on Albert’s wishes became her primary concern and her letters reveal that she and her eldest daughter discussed the matches in minute, sometimes poignant, sometimes highly amusing, detail. Throughout the remainder of her reign, Victoria’s family grew rapidly. 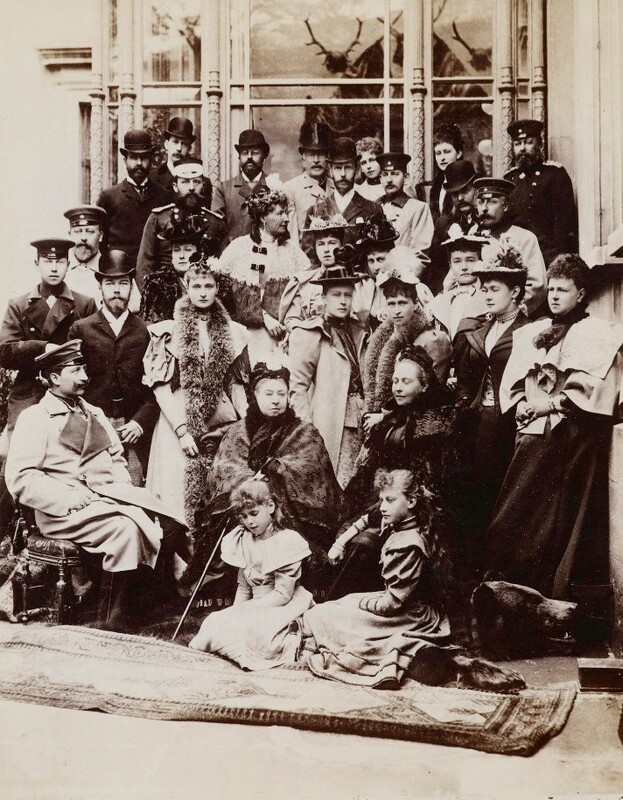 Eight of she and Albert’s nine children would go on to marry into Europe’s royal houses forging connections with Germany, Norway, Romania, Greece, Sweden and Russia. These marriages produced 42 grandchildren and Victoria was close with many of them. Indeed, she was a distinctly warmer grandmother than she had been a mother. Children inherit many traits from their parents and grandparents and one particular trait that Victoria passed on was a love of art and design. Throughout their marriage, Victoria and Albert had consistently expressed their love for one another through the design and commissioning of personalised gifts. Albert had a particular penchant for designing jewellery and, throughout her life, Victoria would continue to wear items of jewellery he had designed for her as a symbol of her enduring love for her “angel”. This practice she passed down to her grandchildren and in the final room of the exhibition, we are very excited to be able to exhibit three dazzling gestures of love. Tune in for the next blog when we reveal what they are! Victoria Revealed is inspired by extracts from the Queen’s own journals and correspondence, and featuring displays of personal objects and artworks in the very rooms where she once lived. The exhibition presents a truly intimate account of Victoria’s extraordinary life. To find out more about Queen Victoria and book your visit click here. I was very excited to read about this opening! Thank you.